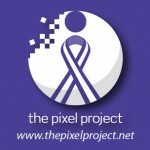 1 November 2013: The Pixel Project, the volunteer-led virtual non-profit working to stop Violence Against Women (VAW) worldwide, is proud to present a very special edition of their monthly Inspirational Interview series – a mini documentary on Female Genital Mutilation (FGM) in the UK featuring Integrate Bristol, an anti-FGM group. The documentary is aimed at raising awareness about what FGM is, how this form of VAW is being tackled in the UK and ideas for preventing, detecting and stopping FGM in the country. Regina Yau, Founder and President of The Pixel Project said: “FGM is one of the most appalling forms of VAW that exists today. It damages the physical and reproductive health of what UN Women estimates to be 100 to 140 million women and girls worldwide, leaving many of them with chronic pain and increased risk of maternal mortality. In the UK, there is an estimated 24,000 girls are at risk. We hope that this mini documentary will help support ongoing efforts to raise awareness about this form of VAW in the UK. If you know someone who is at risk of FGM, please call the NSPCC’s free 24-hour FGM helpline on 0800 028 3550; or email them at fgmhelp@nspcc.org.uk. You could save a girl from a life of pain.